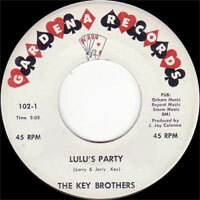 Duo Rock 'n' Roll US composé de Larry C. & Jerry Lee Key. 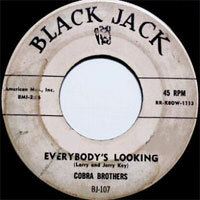 Les Cobra Brothers ont enregistré chez Black Jack, Magnet, Gardena, Louis et Cimarron Records. 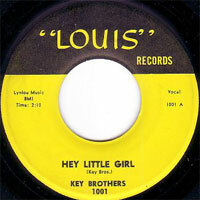 Ils ont aussi utilisé le nom de Key Brothers. 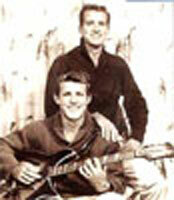 US Rock 'n' Roll duo composed of Larry C. & Jerry Lee Key. 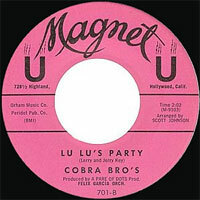 The Cobra Brothers recorded at Black Jack, Magnet, Gardena, Louis and Cimarron Records. 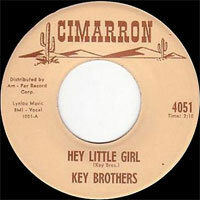 They also used the name of Key Brothers.